IC900 and IC920P Interchange 900 face shield carrier systems with three point face shield attachment, secure distance adjustment and ratchet angle adjustment. The IC900 and IC920P carrier systems are suitable for general use in industry for protection of the eyes and face. The IC920P is ideally suited to applications where high levels of light are restricting vision, such as forestry environments. The IC900 and IC920P have been designed to meet the requirements of EN166 for impact, liquid splash and molten metal splash. The exact approval specification is dependent on the face shield material specified. N.B. 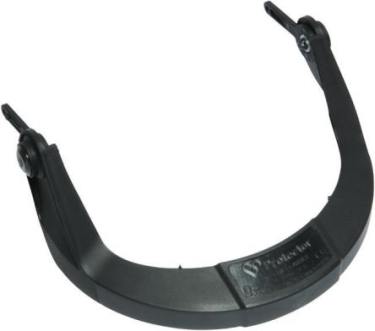 Helmet attachment through Zone Helmet Mounted ear defender or FXVP visor post.